I've been honoured and excited this year to take on a new role as Fortismere School's Patron Of Reading. This is a scheme in which authors develop a special relationship with a school, and visit many times to help spread the love of reading. I was invited to do this by Fortismere's fantastic librarian, Gill Ward, and our first year's activities came to a wonderful conclusion this month. First of all, I spent an afternoon with Fortismere's Year 8 Carnegie Shadowers. 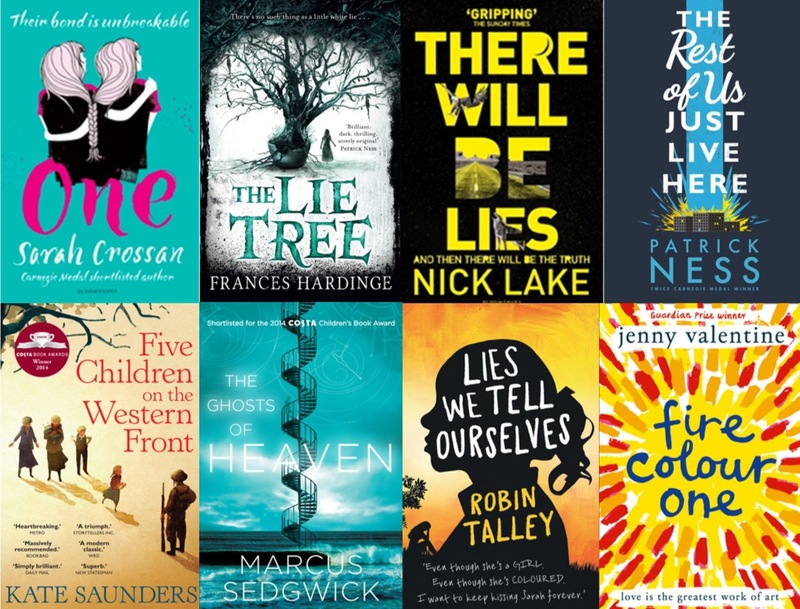 The CILIP Carnegie & Kate Greenaway Medals run an amazing Shadowing scheme, in which young people all over the country are invited to read and review the shortlisted books every year. As I was involved in judging the Amnesty CILIP Honour this year, which is connected to the Carnegie, I'd read the shortlisted books myself, so I thought it would be interesting to discuss them with Fortismere's Shadowers. We had a very open and lively discussion about all eight books, in which one great truth became clear: everyone reads differently. Everyone's experience of a book is unique. Books are collaborations between writers and readers, and each reader brings as much to it as the writer does. There was no single book that everyone loved, and there was no single book that everyone disliked. Each book had supporters and detractors. But there was a book for everyone in there, and as a writer, I found that incredibly inspiring. A similar theme emerged in the evening, when I had the pleasure of attending the final of Fortismere's Inter-College Reading Competition. This is an idea that Gill Ward and I developed this year, in which Year 7s were asked to make presentations championing their favourite books. It was a fantastic occasion, attended by many parents and staff, as well as the brilliant young readers themselves! They made presentations on an impressive range of books: RJ Palacio's Wonder, George Orwell's 1984, JK Rowling's Harry Potter And The Philosopher's Stone, Art Spiegelman's Maus, Suzanne Collins's The Hunger Games, James Dashner's The Maze Runner, Harper Lee's To Kill A Mockingbird, Philippa Pearce's Tom's Midnight Garden, and Sarah J Maas's Throne Of Glass. It was fantastic to see such enthusiasm being expressed so eloquently. These champions were genuinely passionate about their books, and again, for a writer, there is nothing more inspiring to witness. I'm really looking forward to working with these Year 7s next year in Year 8 on their creative writing – and to welcoming a whole new intake of Year 7s into Fortismere School! "Will There Ever Be A Third Varjak Paw Book?"